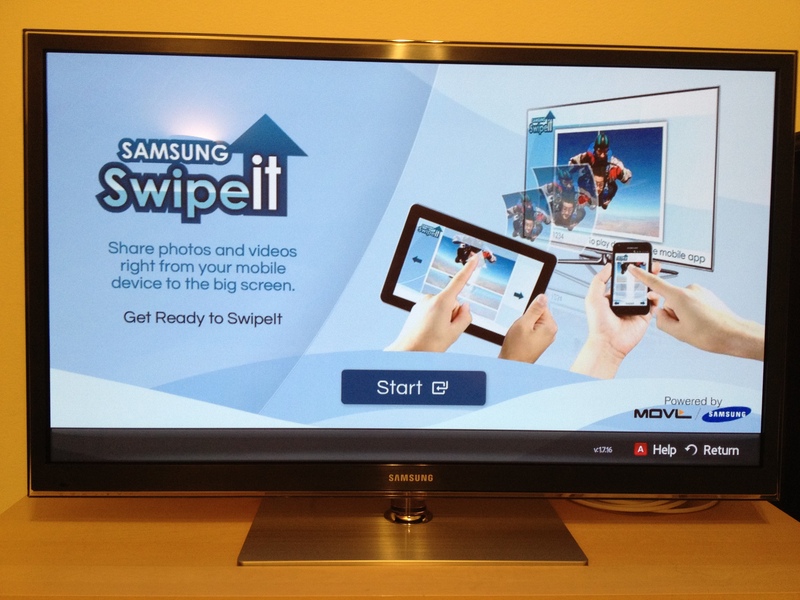 On January 9, 2012, Samsung will announce their Apple Airplay competitor – the Samsung SwipeIt – at CES. SwipeIt works exactly like the Apple’s AirPlay. Watching a video on your smartphone and want to see it on the big screen? Just click a button and the video starts playing on your TV. Samsung started pushing this application out to their internet-connected TVs on Jan 1, and increased the intensity this weekend, presumably to reach full coverage by the time CES hits monday.